Jet is very light fossilized wood; about the weight of Amber. It works on the Root Chakra. Jet is grounding and protecting, and it will actually protect against violence. Jet is also very calming. 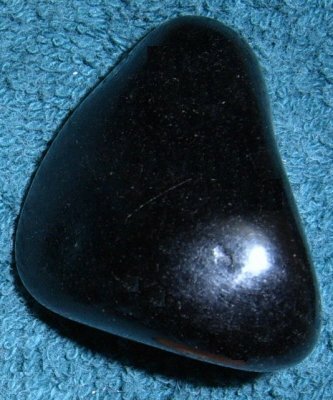 This is a "crystal" that is of use in the world of business, especially in regard to financial matters, bringing skill to these endeavors. It works on fear and helps with illness and depression.